PennDot license centers registered noncitizens to vote. In the earthbound purgatory known as a PennDot driver's license center, the government asked untold numbers of noncitizens to register to vote. Its negligence calls into question the electoral process, and could cost immigrants a felony conviction as well as the chance to become citizens. In Philadelphia, City Commissioner Al Schmidt says 220 noncitizens registered between 2006 and 2017. 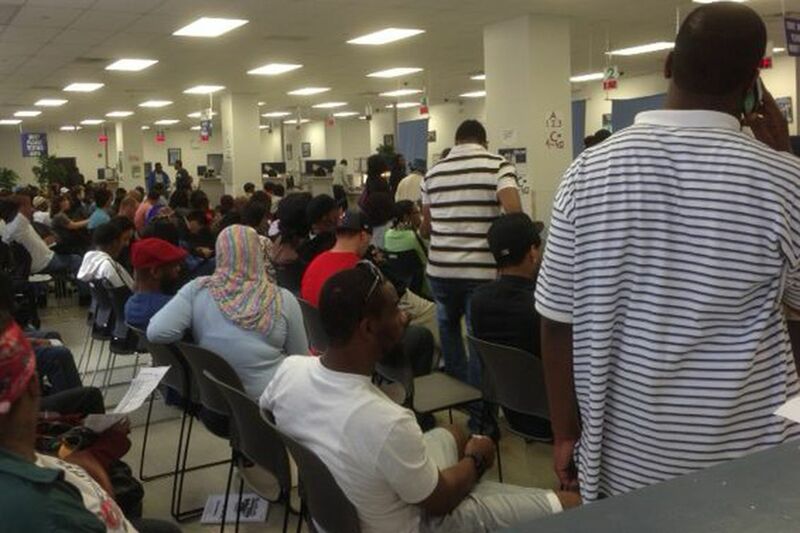 Most of them – 168 — were asked to register when they went to PennDot to obtain or renew a driver's license. Here's where it gets disturbing: The immigrants told PennDot that they were not U.S. citizens, but PennDot apparently ignored them. The immigrants were forthright. They were trying to cooperate with the government. The government was sloppy. This actually began when the state applied a 1995 voter registration program known as "Motor Voter," which made voter registration easily available to eligible voters when they visited PennDot offices. But like too many government programs, it seems this one was thrown together without proper support and forethought. And, certainly, it operated without much oversight. Given their recent histories, PennDot and the Department of State have shown they need oversight. PennDot fanned the confusion surrounding the Corbett administration's failed effort to force voters to produce photo ID cards in 2013. The administration used PennDot to issue voter IDs, but clerks gave voters conflicting information, charged them money for free IDs, or just sent them home without IDs. The Department of State couldn't even develop a system that met constitutional muster. Altogether, the state blew $7 million in federal and state funds scaring voters into thinking they couldn't vote unless they produced proper IDs. That money could have been used to keep noncitizens from registering to vote or to protect data from hackers. The state says it's fixing the glitch. Good. But now Pennsylvania has another problem. Val DiGiorgio, the state Republican chairman, and Hans Von Spakowsky, a member of President Trump's voter suppression committee, seized on the problem to promote xenophobic delusions about widespread voter fraud. Trump planted Pennsylvania-specific fears when he was a candidate. Without any evidence, he said he could lose the election because of widespread fraud in "certain areas," meaning Philadelphia — where he also said people voted five times. The incendiary remarks worked. Trolls are using the case to bash Philadelphia and immigrants alike. They should note that Al Schmidt is a Philadelphian. He researched and publicized the problem, which was brought to his attention by noncitizens who don't want to be on the wrong side of the law — because they want to become citizens. As proof of their intentions, over 300 such ineligible voters have petitioned the city to be removed from the voting rolls. Schmidt's attention to detail and disclosure to the public are laudable. His Republican colleagues should take a lesson from him. And the Department of State should heed his very reasonable request to identify noncitizen voters so county election boards can purge them from the rolls.